Rob follows up with Kevin about how the social media tactics worked from the last episode. Social media calendars are discussed and how to use them effectively. Plus Rob breaks down episode art and the important sizes to create. Each week, Rob answers questions from Kevin Long and offers advice on how to have a successful podcast. Good for newbies and seasoned podcasters alike! Learn more, subscribe, or contact us at www.southgatemediagroup.com. You can write to Rob at southgatemediagroup@gmail.com and let us know what you think. Be sure to rate us and review the episode. It really helps other people find us. Thanks! On this episode, Rob’s special guest is Jodie Hough from RealiTV and Mom’s on the Rocks. On this episode, Rob’s special guest is Andrea Klunder, your Podcast Boss from Podcast Envy and The Creative Impostor. Rob follows up with Kevin on his homework and if the changes had an effect. Together, they decide on the best hashtags to use and agree on a solid show description. Kevin's question this week has to do with audience engagement. The answer lies in this week's topic - social media basics. Each week, Rob answers questions from Kevin Long and offers advice for how to have a successful podcast. Good for newbies and seasoned podcasters alike! On this episode, Rob’s special guest is Brent Hand from the Hysteria 51 Podcast. 00:00:00 This is a really difficult question. Oh, that's a great question. That's a good question. That is a great question. It's a really good question. I love this question. And I think this really is going to help me kind of meditate and grow on it. Want to hear the answers checkout season two of new media lab with Robert Southgate new episodes every Tuesday available on Spotify. I tunes. Google hod Cass and wherever you subscribe to your favorite podcasts. Welcome back to new media lab. I am rob Southgate your host. And I am so happy you've decided to join me on this journey last week's interview with Dave Jackson sparked a lot of questions I messages and emails about specific points that David made. I hope the answers I provided offered a little insight please keep writing in with DA's and questions. The Email here is Southgate small business at g mail dot com. And that's exactly what Kevin long did he wrote in asking about the value of getting on platforms other than I tunes? This started a conversation that resulted in a second show on this feed on Tuesday, we launched our first creators lab, we made it up on the spot basically because there was way more getting asked by Kevin than a couple of simple sentences on Facebook messenger, would've answered it's really cool. Kevin came on and asked a bunch of questions. He's had his show the Kevin long show for a while now. But like all of us. 00:01:38 Us. He still has a lot to learn each week will address concepts to build and strengthen his podcast. Plus, I'll answer the questions that came up for Kevin after listening to the latest episode of the show, it's such a cool project. And I am really excited about it. As we progress will track his downloads and other data to see if our experiment is having an effect. I encourage you to listen and try some of these concepts for your own shows. So this is a great time to give my social media information. So you can get in conversation with me too. You can find new media lab on Facebook by searching at new media lab show. You can follow me on Twitter at our Southgate or an Instagram at rob Southgate. Our networks website is Southgate media group dot com where you can find this as well. As over a hundred other podcasts, and blogs and videos. There's just so much there. Finally, follow our newest endeavor on Twitter at Indy podcast project and be sure to use the hashtag. 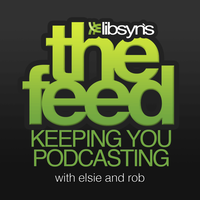 Support indie podcasts when post in your own shows or sharing anything podcast related. Did you know that we have a patriot page for those of you that don't know patriot. As a way for you to support artists and content creators directly I've set one up for the new media lab to help offset the cost of doing this podcast. I don't see patriot as like a tip jar. It's a lot more than that in order to provide value to the new media lab, patrons I asked another question of each person, I interviewed that I'm not sharing on the free version of the show only supporters on patron will get those answers the question. How do you monetize? 00:03:19 Yeah. I know the big question that we all asking that. We get asked all the time the answers, I got back were incredible. You don't wanna miss out on these each week? I plan to post the answers to the question by the guest featured on the free show exclusively for supporters on patriot. I also plan to post unedited versions of some of the. The interviews occasionally as well. My suggestion. Pause this podcast, go to patriot dot com slash new media lab and become a patron right now. After you've done that come on back and listen to this episode. This week's guest is Brent hand from the hysteria. Fifty one podcast. It's a great show. That is absolutely killing it. I know Brent because he's a member of the Facebook groups, Chicago, podcasters unite and Chicago podcasters both of which I add men we met when we and his producer and wife. Lisa came to a podcast or meet up that we had put on since then Brent ni- run into each other constantly on the various podcast or groups that were members of Brenton is co host John Goforth are building a solid following. And have created a podcast. That is entertaining. As it is unique. I am honored that Brent offered. His wonderful insights to my thesis. And that he joined me for this interview. Why don't you? Describe your podcast. Yes. I am the co host of hysteria fifty one we've been doing it. We actually just had our two year anniversary in September. We are a comedy. 00:04:48 I show we talk about conspiracy theories and the paranormal and the strange and anything weird that we can think of we cover that. And you can find us anywhere with Bod catchers, just look up hysteria fifty one. We also have a Facebook page as everyone podcast hysteria nation is a Facebook group and hysteria fifty-one dot com. If in case you forget any of that stuff where easy to find. Okay. So so Brent win. Did you start podcasting? So I started podcasting. We started in late twenty fifteen my current show hysteria fifty one we started in September of twenty sixteen. I had two shows previously that didn't take off the show that it lasts the longest before this was one called Radyr fad. And we went about six months on it and hysteria fifty-one kind of took off. But so coming up on three years for for solid podcasting. And how many episodes are you posting in a month four we you wanna week we released a new episode every Monday excellent. And is that consistent is at year round. Yeah. Yeah. Every week. Yeah. Yeah. So so far we've never missed a week fingers crossed stays up. Are you? I'm gonna ask another question here and interpret this the way you want, right. Are you a celebrity or is anyone associated with your podcast a celebrity? I'm not even a household. Name of my own household now, I have not as liberty. You know, people at the podcast and CUNY my know me because I'm active, but no, I'm not a celebrity in any way, shape or form. 00:06:28 And and your partner is not either. No, no, not at all. Not at all. I wish I wish we would have because we we sure wouldn't of had to of fought and clawed. And Doug to get to where we are. But no, no, no, we are not. So that actually negates the next question, which is where you celebrity when you're starting s. No, I was not I was not do you feel like you're gaining celebrity at this point. We do you know what? So my wife, and I we always judge that as far as like, how many Facebook friends requests. So my wife is she helps produces show we actually had to make her a fake Facebook page because she got so many friend requests and stuff like that not a fake one. But we made her like page, so I guess the more downloads and the more publicity. We get we get a lot more people wanting to reach out and talk to us and things like that. But I I definitely wouldn't call it celebrity when you do show people wanna talk to you people want to interact people wanna get to know you because I think. I think that the difference between, you know, a lot of things in podcasting is people feel that they really get to know the person. And and because of that kind of leads into I want to know this person, I want to be friends, I want to interact with them. That's my own opinion. 00:07:43 I guess sure. Sure. Okay. Now, we're going to get into some of the meat here. Sure. Do you think that gaining audience today is the same as when you started this? We've been lucky in finding an audience it's very vocal, and they love to share us. And that's been one of our biggest things are audiences been big supporters. That's something we'd locked into. We've tried as I said, you know, I had ratified and we had a couple of shows before and we tried to reproduce that. And didn't have the best. And and in ways, I guess you could say it's easier because podcasting and podcast is so much easier. Find and are a much bigger piece of the cultural zeitgeist, I guess, you could say the flip side is there so many shows that's hard to gain attention attraction, because you're you know, you're in a sea of other shows. So it's kind of a double edged sword. But you know, you go out and buy yourself a new car right now. And now, they're putting podcast apps built into the stereos and stuff. So that's not a that's not a bad thing. I'm so it's definitely easier. At least you find podcasts. But it's still a lot of of them out there. So yeah, I know that that I was reading a thing recently that that most cars on the road or about twelve years old, which means pod catchers or not there, which is one of the problems as it becomes more prevalent in the automotive industry. It's going to make it easier. It's going to be trouble for mainstream radio. 00:09:12 I have a feeling which we've already seen trouble for satellite radio as well. Because they've got to change their game somewhat to to adapt to this. As far as getting that attention. So so now, we've got it. So it's easy to get in the hands of the listener. Okay. The pipeline. Is there? How do we get their attention? So that they know hysteria. Fifty one is there. So we have been. Grassroots have people say, you know, we we have been when we started. Let me let me preface this with with something when I started I went to I'm in Chicago. I went to second city, and they had a you wanna be a podcast. This is in two thousand fifteen that a class like it's so easy. All you. Gotta do is ask your friends and family there's hundreds of downloads in and of itself. So really we start our podcast. We asked her friends and family. They didn't listen they didn't give crap you know. And so, and so it's such you know, everyone's got their own opinion of it. But we started are one of the biggest things we've done in social media. We're on Reddit. We're on Facebook Twitter on Instagram, Snapchat, everywhere, and we just try to interact I try to interact every day. And our Facebook page has been our Facebook group has been one of the biggest things for people to be able to find us and talk about us and we've done contests and giveaways and just really trying to get the few people that we get in the beginning to tell. 00:10:42 And they tell to friends, and they tell to friends, and that's that's a big thing where we tried to make sure that we were interacting with those people as much as possible kind of goes back to what I was saying about people wanna know, you they want to get to feel like they have, you know, interaction, and we give them that. And I that's been a big thing for us. At least on our show is the the back and forth interaction and asking ask people to do it. We asked them all the time give us review tell a friend do this and that and they do it. And that's been helpful for us. The other thing that I know John, and I did that that a lot of people John John Goforth by co host a lot of people have maybe don't do or don't have the means to do enough as we've traveled to a lot of different podcast movement. We went to podcast move in. And and. Different promotions. We went on podcast cruise twenty seventeen inches meaning other shows and trying to talk to other hosts and people in the industry and get our name out there. So that they go. Hey, didn't we talk to some guys from hysteria fifty one we're wanting to do it an article, let's let's talk to them and we've gotten written up in some things because of that. And that's been a big help for us. 00:11:56 What are the three key things that you've done to grow your audience? I think making it seem and making this true. Not just seem that they're missing out if they are participating in social media kind of like I talked about there's so much more there as far as being able to talk to one another. And so but not just making seem like I said making a true. So that you know, we're doing extra things, and we always talk about the end of our episodes. They we're going to be talking about this talking about that on our our Facebook group or this and that the other, and I think that helps us out a lot you know, is making it worthwhile for them to want to interact outside of just the show. The other consistency. Once you have an out an online community don't retreat, and it's not like it's mission accomplished. You're just you're there to your fans. Like, you said, we're not celebrities, but to them you are in a way because they wanna talk to you. And that gives them a sense of interaction and people love interaction. I think that's one of the biggest things and make sure I guess third one. This is kind of silly. But it's been in the the news lately. Make sure your followers are real don't buy followers. Don't buy listens and stuff because that's just an genius. And then you can see these people that you know, when they have a group, and they have, you know, a few thousand dollars, and they post something they get three likes you like, you know. And I think that people in the industry that it reached out and looking at other shows notice those things and go. 00:13:28 Yeah. That doesn't that doesn't jive to me. And I think other people do that to our notice it do you pay attention to things like listen tie. Time general download numbers like fluctuation. There is there as far as the data goes stuff. Like that. Is that stuff that you guys pay attention to your you just keep going? We just wanna go up there very much. So we always do we release on on a Monday and on Thursday, we pull numbers I know that's a whole week. But we just see that gives you know, you've had four days we always look at those numbers and see. Outside of listen time. But you know, how many gallons we have what we're at for thirty days for the week. You know all-time listens. And then the other thing is on. I have we have. And we haven't as far as checked listen time as far as how many people kind of fluctuates. That's not something that we would on our I keep a spreadsheet. So on every Thursday. I I keep track of all the numbers and we've done that since we started. And listen time isn't as much from the we go back and look at because I don't wanna be seen people. Listen to two minutes of the show and don't so we are losing. But the last time we were like seventy eight percent of the show. So that's pretty good. I think the, you know, if you're getting at least three quarters of the show, you're you know, you're getting through. 00:14:48 What are three key social media practices to build an audience? So number one is just asking the people to be part of the social media. I know that sounds silly. But I know so many people, and I talked I, you know, I'm in groups with other broadcasts, and they go well and didn't want to inundate people. I don't wanna make them feel weird. It's not making them feel weird. You're asking your audience to grow help them. Do it. You know, ask them to be a part of it. And give them a reason why you know. So, you know, join our X Y group because we're gonna be talking about this that or the other. The second one would be I, you know, make it worth while outside stuff. We've done a lot. I went back and forth in this with a lot of people. But we've done giveaways, just stickers shirts and stuff. We do it all the time. Coloring contests for Halloween. You know, silly things like that people go crazy about because they really like it and is interacting with them. And the other thing that I do because I love podcasting. And I think it helps us is I'm on a lot of other pages. And I don't talk about hysteria fifty one, but I go to other people's pages than I interact, and I tried to to help them and talk and things like that. And I think that that makes them go. 00:16:03 Hey, you know, this this Brenes Mystere fifty one you should check them out. I'm not doing it because of that. But I think it does come through, you know, and I think just being active in the community, not just your own community grows your community. Do you have a social media strategy that you work with or is there is it just kind of like, hey, here the places we're gonna put stuff, and we wanna make sure we post every day. So you don't simple like that. Or do you go Monday Tuesday Thursday? We post polls Wednesdays we do when we started out. We very much had a, you know. Okay. So. A new episode comes out on Monday than we do. A we make her own me mon-, Tuesday and Bubba blonde Wednesday. And and we did that. But now since I can spend so much more time on there. I think it comes off more organic when I'm just on there every day, and I'm adding to it, and it probably in the back of my head and not realizing it, but I'm posting similar things every week. But it's not done on purpose. We very much did in the beginning. I don't think that's a bad thing. Because it gets you used to using your social media because a lot of people have a page, and there's nothing on there. I was just recently on on another shows page, and I said, hey, when you post a show how about you posted a link here. So people can listen to it. They said that's a great idea. It's crazy to think that you gotta do that. But you gotta do that for some people, you know. And and and there's nothing wrong. You don't know when you start out you might not know what you're supposed to do. So I think that having a strategy in the beginning. He should always have a strategy. The having any strategy in the begin. 00:17:37 Inning of you know, I should post this that and the other we'll help you Intel becomes habit. You know, and the ones that's your habit than this your go to and this is I know I'm going to do this every day now with your social media presence right now, you mentioned you're on red at you're on Facebook, can you lay out basically? So what platforms what is getting original content? So the reason I ask that is some people use Instagram, they put it behind the scenes picture, and they let to everything else. I know read at your starting conversation. I know your Facebook group because I'm a member of of of your group. You're putting original things. How is that broken down kind of? And what firms are you going across? So the biggest one that we probably neglect is our regular Facebook page because we post our stuff to their when I post on Instagram, I post original, photos, Instagram. I let them a lot of times. Go to our Facebook page. So I'm definitely on Instagram on read at we're just usually more for we post, our episodes. If we get in an article or a new source, we we post things like that on their hysteria nation, which is our Facebook group is definitely the one that we do the most original content. That's you know, outside of just are episode and stuff. That's where if I'm finding articles and things I I'm posting it there more than anywhere else. Because that's where we have. You know, a lot of a lot of participation. 00:18:58 So I would say Instagram and our Facebook group get the most original content, and we try to post photos on Instagram that we don't post on don't always share on Facebook our Facebook page and definitely not on our discussion group just so that they have a reason to want to go there. What about Twitter to use that at all we are on Twitter? And I am I I'm very active as far as reach weedy and commenting and stuff like that. We don't get we have a few thousand followers. I don't get a ton of traction on there. And I talked to a lot of other shows, and that's their go to maybe it's my age. I don't know. I think. Just pop stuff on. Yeah. I do. I pop exactly I pops up on there. And I try to do it. You know, a couple of times a day or to be active stuff like that. But we don't get the interaction that that we get on Facebook that a lot of people say they love, and they get tons of interaction on there. It's escaped us at least so far. But yes, I am on there. And we do use it. Do you do any video elements to what you do? So we used to and we posted to YouTube quite a bit just, you know, we we would always just your show. Well, so we did both just the show every every week on the show we would use. We would we would convert it into a just a video, then we did, you know on boxing, videos, and behind the scene tours and things like that. And we got decent numbers. But also got a lot of trolls. You know, we got a lot of people that have nothing, you know, to do with the show we're talking and now since we've went onto the new network that we've joined. 00:20:43 We had to take down our our whole channel, you know, everything that we had on there that wasn't just original behind the scenes, and we took everything down at this moment. What is the secret of your podcast success? I would say probably one of the best things is John. And I have known each other for thirty plus years, you know, we've been friends for a long time. And we're doing something that we both like we're not we always like to say that we're skept skeptically optimistic about the things we talked about. But we also love what we're talking about. We have a lot of fun with it. And so because we know each other for thirty plus years, we've got a pretty good back and forth. And I think that comes out in the show because we've been friends for so long and be able to rely on another and there were the others going, especially in the show, that's mostly improvised. We have an outline we know we're going to talk about, but we make sure that we know the topic. And we just see kind of where it leads us. That's a huge key to us and a lot of. People always say, you know, or one of the things I like hearing from people when they tell us is like, oh, you know, you guys you can see you guys really know each other and you're very comfortable talking to one another. And I think that that comes through and helps helps quite a bit. But that's not something that's easily. You know, not everyone's going to know their hosts for you know, for that long. And that's not some hasta take that long. We're just lucky in that. And then aspect in your opinion. What's the next big thing? And podcasting. I think that the big thing that's coming outside of just what's in our control is better tech from better apps. You know, better you I and recommendations for more advanced metrics more advertising opportunities. It's time for them to shoot a grow up, and it is slowly. But I think that's the next big thing. As far as I don't know. Exactly, what that looks like, you know, but you know, better metric, so we can breakdown shows, you know, I wish that all hosting companies use the same. 00:22:46 What is it called them metrics or whatever, you know, not metrics, but they use the same form ZOA. Download with this host counts as a download with that. Right. The same compliance, and they don't, but hopefully that we can get that in the future. Apps. You know, there's no great every app that's out. There has a fault. I tunes is really fallen behind. And you know, we're we're having issues with iheartradio. Not not always updating a Google their new app has been not updating us, you know, things like that and the search function and a lot of them is very much lacking. So I think and if someone could come out with an fantastic app, I think it would really help out. And the other thing is finding advertising doesn't, you know require the show to have, you know, fifty thousand dollars a month one hundred thousand dollars a month that the that they can work in that. If that means, you know, more shows if you want that not ever show wants advertising, but if you want that ability outside of like advertise cast or something like that. I think that's something that's gonna come in the future. And how about some shows be able to do it? There shows longer. You know, part is, you know, not getting burnout because the money dries up, you know, in your in your hobby pocket stuff like that. I told you brand had a lot of great ideas. I encourage you all to subscribe to hysteria. Fifty one to follow him across social media. There's a lot more to this interview. But like I stood before I'm only sharing the answers to the questions for my thesis on this show as with each of these interviews, I try to leave with three key takeaways. The three that stood out to me from Brant, our number one interact on social media, everyday to add real value to the content you offer outside of the show and three consistency. 00:24:44 Yeah. We hear that constantly. Don't wait. I love this quote. He said don't retreat once you're there. So what are your takeaways? What it Brent say that affected your business and content creation going forward? Share your thoughts on the Facebook thread for this episode. I would love to read your insights, you can find Brent and his website hysteria. Fifty one dot. Dot com. Make sure to follow hysteria fifty one on Facebook and join their Facebook group hysteria nation, it's a blast. Find his show on your favorite podcast app. Be iheart radio. I tunes Google podcast, Stitcher. Tune in radio be sure to subscribe and give his show a great review while you're at it. Please subscribe to new media lab with Robert Southgate wherever you listen to your podcast. You can Email the show at Southgate small business at gmaiLcom. New media lab is on Facebook. Simply search for new media lab xo our networks website is Southgate media group dot com where you can find this as well as over a hundred other podcasts, plus blogs, videos information about our live events are more and just so much more. If you wanna follow me, personally, I'm on Twitter at our Southgate or on Instagram at rob Southgate, support this show and get awesome extra content by. I becoming a patron go to patriot dot com slash new media lab and choose your tier please rate and review this show on whatever service. You subscribe to podcasts on it really helps others find the show and tells me if you like what I'm doing here, and please share the show on all your social media. Tell your friends tell your family tell your enemies, we'll take care of them too. You can find new media lab on June's, Google podcasts Stitcher Spotify tune in radio and really hopefully anywhere else that distributes podcasts. If you can't find us, let me know. And I'll rectify that situation all this plus more links will be in the show notes and on our website. So don't worry if he didn't have a pen to write this all down. Thank you again to Brent hand for helping me on my thesis and for being such an incredible guest. That's it for this week's show everyone. The next episode of creators lab will drop on Tuesday. And we'll be back with our next guest. 00:27:07 On new media lab on Thursday until then get out there and create something. It's the first episode of New Media Lab's spinoff - Creator's Lab. Each week, Rob answers questions from Kevin Long and offers advice for how to have a successful podcast. Good for newbies and seasoned podcasters alike! On this episode, Rob’s special guest is Dave Jackson from the School of Podcasting. 00:00:09 Welcome to the second season of new media lab. I m your host Robert Southgate, and it is great to be back. Lifer means world wind since post in the last episode of this podcast. It's hard to believe the last new media lab posted two and a half years ago, yet your we are right after launching the show, I started in MBA program in marketing Roosevelt university, which I just completed a couple of weeks ago as part of Miami. A I had the opportunity to an independent study which involved with the business side of podcasting. The thesis I had to prove was this podcast did not need to have a celebrity as a host to attract a large audience. It's a mixture of audience engagement consistency. And increasing visibility. The analytical process, I employed to prove my thesis was I enter viewed sixteen podcasters with audiences from fifty purpose owed to over three hundred thousand per episode. I asked everyone the same ten questions the answers. I got had a lot of similarities yet were all very different at the same time. The bottom line is I got a lot of incredible information out of each. And every interview I asked how they engaged with their audience their social media tactics, timing and consistency of show posting how they perceive gaining market share today compared to when they started podcasting. And what the host dude, which she high visibility we discussed best practices and what they perceive as the secret to their success. 00:01:44 It was an absolutely fascinating project the provided insights, well beyond what my thesis posited being a content marketer. I couldn't simply conduct all these interviews. Filter them down into a paper and turn it in for a great and just leave it at that. I recorded these interviews and planned to share them right here on new media lab. And don't worry. I was up front about this with all my guests. In fact, they were all enthusiastic willing participants so much so that they agreed to help with another little project, but more on that in a moment. This is a really difficult question. That's a great question. Good question. That is a great question. It's a really good question. I love this question. And I think this really is going to help me kind of meditate and grow on. It wanna hear the answers checkout season two of new media lab with Robert Southgate new episodes every Tuesday available on Spotify. I tunes Google hod casts, and wherever you subscribe to your favorite podcasts. The second part of this project is I've launched a patriot page for those who don't know patriots away for you to support the artists and. Content creators directly I've set up. The new media lab patriot page to help offset the cost of doing this podcast. I don't see patriotic as a tip jar. It's much more than that in order to provide value to the new media lab patrons I asked another question of each interviewee that I'm not sharing on the free version of the show. Only supporters will get the answers the question. How do you monetize? 00:03:22 Yeah. I know the question you get asked all the time. If you're a podcast or that you ask every podcast you run into the answers. I got back were incredible. You don't wanna miss out on these each week? I plan to post the answers to this question by the guest featured on the free show exclusively for the supporters on patriot. I also plan to post unedited versions of some of the interviews casually as well. For example, one interview was over two hours long, and Chuck full of ideas and information that simply I couldn't fit. It in the paper, I was writing. But that you will definitely want to hear my suggestion. Pause this podcast, go to patriot dot com slash new media lab and become a patron after you've done that come on back and listen to this episode. Also, if you wanna connect with the show, you can Email us at Southgate small business at gmaiLcom, you can find new media lab on Facebook by searching at new media lab show. You can follow me personally on Twitter at our Southgate or on Instagram at rob Southgate. Our networks website is Southgate media group dot com where you can find this as well. As over a hundred other podcasts, plus blogs, videos, Ben much more. Finely, follow our newest endeavor on Twitter at Indy podcast project and be sure to use the hashtag support. Indie podcasts when posting your own shows or sharing anything that's podcast related. Our first guest of season to his Dave Jackson. 00:04:55 You may know him from the school podcasting. If you don't pause this and go subscribe to that show right now, you can come back and pick up right where we are. Okay. Great. I'm really glad you came back. Dave is been podcasting since April of two thousand five in helped hundreds if not thousands of podcasters launch and improve their shows when we started our network Southgate media group, Dave was one of the first people we turn to he is full of excellent information and shares it freely. There are many reasons. Dave Jackson was inducted into the academy of podcasters all fame at the two thousand eighteen podcast movement. He is simply an icon. And I am thrilled that he joined me for this interview. So Dave describe your podcast, it's called the school of podcasting. Hopefully, that's obvious enough. And I help people plan launch and then grow if they want to monetize their podcast for this question. I know you do it a lot of different podcasts. I'm asking. When did you start podcasting? I wanted to win you started and win school podcasting started. I started in my very first one. That's a great question was in April of two thousand five I was doing a blog for musician. 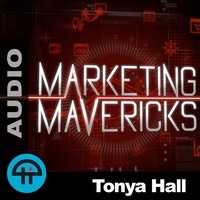 So I turned what would eventually become the marketing musician podcast. It's been under three different names because I could never find the right one. But that was back in April of two thousand five and I'm going to say six months after that came the school podcasting because I was losing my job. And it's hilarious. Because the the one thing I tell people to do do not get an podcasting for fast money, and I needed a job that had flexible hours because I was going to go back to school, and I needed something to keep me in my phone in my car, and and maybe some insurance in their possibly food. And so I said well. 00:06:51 This whole membership thing seems to be the big buzz, and this podcasting things to be the big buzz. I'm gonna put the two together. And maybe I'll make some money, which is why I was also doing ATar lessons. I was you name it. I was doing it to make money because the first couple years were painful in the monetization world. Are you? A celebrity depends on the room. I walking into I would say, no, I'm not a celebrity. But when I was just in DC this last weekend, and I had somebody brought over to me from somebody already knew that said somebody wanted to meet you, but they were afraid to come over. And I'm like in my head. I'm thinking, I'm the most I try to be the most approachable person on the planet. And when I was at social media marketing world, I was walking down the hall and had somebody look up and go. Oh, wow. And I turned around, and there's nobody else in the hallway, and I go are you allowing me? And she goes are you Dave Jackson, I go. Yeah. And. Like, she's like, oh my gosh. I was like so that is always kind of bizarre. And so based on that, I would say, yes, I'm a celebrity, except if I walk into a room at say podcast movement. I was in there this year, and there was a whole bunch of people from radio in other areas that my little bubble, and nobody had a clue I was so it kinda depends on the audience. But you know, that's we have to define I mean, the academy of podcasters hall of fame that makes it sound like, miss elaborately. But when I go to the grocery store, don't get any discounts. And I don't know people, you know, I don't have to run from the car to the grocery. So no, I don't think I miss elaborately. I think it just depends on what audience I'm standing in one. Ed, you would also then I assume say that V celebrity that you do have doesn't really affect downloads. No, not really I mean, it's what happens is in. This is what I'm always trying to do is plant seeds. When somebody goes, I'm thinking of starting a podcast who. 00:08:51 I listen to hopefully that answer is is Dave Jackson. I had a thing. There was a an event called the new the expo and the former head of the podcast track. Step down in the guy asked Lipson immediate hosting company. This is before I worked there the guy from blueberry. And the guy from speaker all three of them said, what do you think about Dave Jackson? And so that is what I'm always looking for. I want somebody to go. Yeah. To go. Check out. This Jackson guy. Do you think gaining audience today is the same as when you started? It's a little harder but not by much because it really is the same. You have to know who your audience is do you have to record a podcast that has the information that they want you then need to go to wherever they are make friends with them. That's the one everybody skips. And then tell them about your podcast, and then hopefully, your podcast one spire them to tell other people. But the thing that's different is back in two thousand five you could type in somebody's podcast. And you're pretty sure it was going to come up, and I get this more often. Now is when I type in my podcast. It doesn't come up. It's not an apple I tunes. And then if I type in my name, it does why is that? And there are some things in apple podcasts that don't make sense. Like if you like mice show is now called school of podcasting in the early days. It was called the school of podcasting because I figured out that if you have the word the in your name you then rank against. 00:10:25 Everybody else who has the word thaw in your show. So if you have things that you don't need like the word podcast or something like that get those out of there because the search results depending on what screener on typically only show. Maybe if you do the old show all which is kind of a misleading button. It should say show the top three hundred because that's really what you're getting. And so I've had people at one it was I think it was called the quick cast. And they spelled quick K W I K cast, and if you type in the quick cast it did not come up and I'm like, oh, come on. That's you know, that's they spell the name weird. That's got to come up. And it's because they had the word the in the name. They took the out if you just typed in quick cast, whom they came right up. So if you're in terms of that growing your audience that's a little rougher, but I've never relied on apple podcast to make me famous. I say apple podcast is a phone book. And it's a place to be found assuming their search results leads people to that. But it's really not gonna make you famous. I'm actually doing kinda double secret probation show right now that I haven't told anybody about but it's in apple podcasts. And I'm getting about ten downloads and episodes. So that's really what being an apple podcast is going to get you about ten downloads. And people think unfortunately, that all I have to do is get my podcast in there and money will fall from heaven, and I'll get ten thousand dollars. So that's the part. That's that's harder. I think in the past it was easier to be found when people search for you. There wasn't as much competition. But in the end when people find you the part that hasn't changed is you still have to be entertaining. You have to deliver value, and you have to inspire people to want to tell their friends about it. And that hasn't changed at all. 00:12:09 So what are three key things that you've done to grow your audience? The the big one is I do my best to shut up and listen. So if I go to I actually host a northeast, Ohio podcasters meet up, and the reason I do that and people like will. Yeah. But you have all these new people show up, and they're asking all these kind of podcasting one on one questions though, Mike exactly, and they're like, what do you mean? Exactly. It's been awhile since I've been in their shoes. So for me, I wanna see what they're struggling with. I want to see what they think. Because again, my goal is to give my audience what they want and what they need, especially. So I do things like that. So I always try to go where my audience is the the more time, I can tell you the eye color of my audience. That's the best because you're connecting on every level of communication. You've got body language. You've got tone of voice, you've got everything going on. And then from there get into things like Facebook groups and linked in groups if they're coming back keep hearing. You know, things like that. But it's it's still kind of networking, and then just the other thing I've done probably two to grow audiences. I don't turn down podcast interviews a lot of people like how many downloads do you have? And I'm like, I could care less. If somebody I if I have the time and somebody says, well, you come talk to me about podcasting. It's I've never said, no. Because you you never know I had if we go back the northeast Ohio podcasters meet up by six guys at a at a meeting and a lot of people like well that's complete waste of time. 00:13:41 Oh, except one of those guys worked at the local TV station. And when they needed a podcast GU ru he called me, and I got to go on TV show for that. So I never underestimate who's listening. It may be. Yes. When you have, you know, hundreds thousands of people, listen, you have a better chance of quote, someone important or somebody that can help you. But, you know, little little shows grow up to be big shows. And they remember when you came on four. Yeah. And if you don't ignore them after now, you're the big show. And if you don't ignore them, guess what they become your biggest cheerleader ever. Yeah. So I if it was a three things I to me, it's all about content promotion, so going out meeting people letting people know what you do and things like that. And what was the third one? You said, oh, and then going on other shows what three key social media practices that you do to build audience one. Again, the seems kind of backwards. I always promote if I'm on somebody else's show. So how does that help me because it builds a relationship with the person who was on the show and that person when somebody says, hey, I need to learn how to podcast might say. Hey, what do you think about that day Jackson guy? I like that guy. He actually promoted my show when he came on. So again, just trying to be nice to to everybody don't be afraid of Facebook live. 00:15:01 I did one today, and I fired up my phone. I stood by the window because I need a better lighting. And just explained what was going on in my head in the the fact that how goals are important because if you don't have one I felt kind of lost. And I get more comments on my Facebook stuff. I love the fact you just like talk to me on Facebook. It's just you riffing. And I'm like, yeah. So anytime you can connect with the audience. That's that's something. I didn't really expect. And the other thing I'm doing much better that I used to be horrible at is actually checking right now, I'm not I this is like blasphemy. So, you know, hang with me. I'm working on it. I'm almost not on Instagram. And I realize that I'm so old that actually say Instagram because I do realize now, it's the Graham, but okay, I didn't know that people that are younger. They're like, oh, man. I'm all over the Graham. And I'm like the grammar we're calling it the Graham now, oh man missing out. So I try to be everywhere. But I wasn't very good at being everywhere. And so like, I'm okay on Twitter. And I'm I. Spent a lot of time on Facebook. But I'm getting much better. At that. I have some tools now to keep me involved on Twitter because a lot of times I was getting lost over there. So I think that's the third one tried to if you're not going to be there don't set up an account because what's the point because then people go over and they go, oh, Dave on Instagram. 00:16:25 Oh, he's got four post one of them is, you know, his dinner from last night. That's not again, I I wanted deliver value and until I can figure out what I'm doing. But I was getting lessons. I I went to an event this past weekend and had somebody go you poor old white, man. Let me let me. How to do Instagram? So I'm getting there are you on Facebook Twitter. I mean, what are what are the those are the two that's really and the and the other one that I'm I'm ramping up because. Hello. It makes sense is linked in. Yeah. Because there are people. There are businesses now going we should start a podcast. And so I've I've met a couple people at conferences again that have said why are you not doing things on Lincoln, you that makes a lot of sense? So I started to play a little more on linked in. And I've I've got some plans, especially if not in December definitely in January. I'm to start doing video over there in a couple of things, and I've applied to be you can actually sell courses on Lincoln's applied for that. So that's that's going to be looking into. 'cause it makes more sense. I you know, podcasting often is used as a marketing tool. So why would I wanna go play on the, you know, marketing business platform where I did play for about a month on twitch, which was great. If a bunch of gaming. 00:17:40 Guys wanted to make a podcast. But I went over what this is cool. And if I want to sit there for ten years of Venturi, you know, if you depending on who you talk to which is going to be huge people are going to come over. It's not just going to be about gamers, and I'm like, I don't have time for that. And I realized I could make a huge I could be the one guy that they find. But I don't know that people looking for podcasters on twitch right now. So I just went to go spend some more time in Lincoln. So what is the secret of your podcast success from what I understand? Because for me. I just I go out. I find something that interests me. I kind of feel like I'm my target audience. But I also again because always trying to listen to the new people to see what they're getting struggled with or thriving struggles and things like that. But I have people tell me that without just making it all about me. I always try to weave in a story either something for my life or something I'm going through or something that affected me. And I try to be entertaining. And this this comes from a teacher in college. And I was taking extremely boring tech report writing class, and he would walk in and blow off the first fifteen minutes class and just make fun of people and just it was just a bunch of fun and cracking jokes. And then about that same time my niece at the time was I think all three and she had some sort of computer game on a CD. I think it was like Roger rabbit teaches reading or whatever. And I'm over. And I just keep hearing these screams and giggles, and she's just having a good old time. And I go in and like what do you do? And she's like I'm playing with Roger. And meanwhile, she's getting she's like spooky smart to this day. She still super spooky Martin, you know, if you can make education fund, people realize that they're actually learning stuff. So I always try to make it somewhat entertaining. I from an I think this is just me. Maybe that's it. I just I'm me. I don't try. I don't worry about my brand. I don't worry about. 00:19:40 About how I'm coming across. I'm just here to help you. And this is how I talk. So this is how I do it. And so over the years, I've had some really weird instances where used to show that was based on my faith called feeding my faith. Why played a clip for it. And all the eighth Theus this one I should say this one eight Theus came out and said, look, I want to hear about your invisible sky, buddy. And it wasn't even me talk. It was just a clip for another show too. Which then all the eighth is came out and said, no, Dave, you Yoon, your sky, buddy. You're great don't listen that guy. So there's this whole weird argument between my listeners, it was kind of different. And I just tried to every now, and then I'd always worry about this. Because when I try that's when it usually falls on my face. I will try to throw something specifically designed to make you laugh. Whether it's I remember I did a joke or a skit, I guess you could say on you know, how every. You know, there's a commercial for some sort of drug, and there's always side effects and people at the end, you know, call your doctor of this happens or this and that and and so I went through all these ones, you know, having a podcast can lead to making you have other podcasts and call your doctor. If your podcast lasts longer than four hours, and all these other things that were just trying to be cute and funny. So I was do that just because I want my audience to kind of expect every now and then something to be just a little weird. 'cause I think at times, I'm just a little weird. So I guess that's my success. I just I'm just me. And if you don't like me, I think I'm okay with that. And that's the other thing I think that that helps after a while just have to realize that not everybody's going to like you. And if you don't like me on my buddy Ray or Daniel or whoever. So what do you think the next big thing in podcasting is? 00:21:26 That is a great question. It's really hard to pick. Because as we record this. Now there, you know, we've had Spotify come on. We had Google podcast launch a new app and punt Pandora has just put their they're telling the water, and I'm not really expecting any of those to make a big deal because the the in-car dashboard that was supposed to be the big special people buy new cars that often and number two I had a Toyota Prius for a while it didn't have the index thing, but it didn't have bluetooth that. When I got in the car. Once I paired my phone with my car every time I got in. I just hit play. So I don't think having a play button on the dashboard is really gonna make that much of a difference because people that need that are, oh if I were to stereotype there, maybe somewhat older and not that familiar with how to sink Afon to a car in those people may not be listening to podcast. I'm not sure. So I'm really not sure what we need is more listeners. And I think I actually went to a picnic, and this is right after I got inducted into the hall of fame and my cousin was kind of poking fun at me. And she's like, oh, there's Mr. hall of fame. And I said, yeah. Yeah. Don't whatever. And she said, well, I'm gonna ask because nobody else is going to ask. And I go what she goes. What the heck I how do I what's a podcast? What what what's this whole thing? You're in. And I said you have phone and she goes. 00:22:54 Yeah. And I said, okay, go find this purple apper here. And so then my other cousin was like, hey, wait. Hold on. Let me get my phone. And so on the back porch taught five people how to consume podcast, and we need more of that. And I I really think that's going to be the big thing. I was kind of excited. I just saw one of my first holiday commercials, you know, with you know, sleigh bells ringing in the background of the whole nine yards. And I wish I could remember the name of the company, but they were saying how you can find guess for so and so and get these for grandpa. So he can listen to his podcast, and it was. Yeah. And it was a pair of headphones. And I was like, okay. They're saying podcast. Like everybody just knows what that is now. And because I'm old school away. I'm like, they're still people going a blood. Do I need to do I need to what to listen to that. So that I hear that more and more. You know, there's a show on TV right now called God friend in me, and the lead character is a podcast or who's doing? He's an atheist. His dad is a pastor is this whole weird thing. But again, they heeds costly recording podcast, and I'm like her at this is kind of cool that you just kind of going mainstream. So I wish I had an answer. That would say it's marked speakers, you know, the woman in the tube from Amazon and Serey and all these other things are I think they're all going to bring about three percent more people. And as things go up, it'll do it. But I wish I had the if I had the answer to you know, what's going to give me ten thousand downloads. I'd I'd be a millionaire. But I think it's going to be a comedy. 00:24:25 All of those. It was such a thrilled interview. Dave, I encourage you all to seek out his podcast and follow him across social media. There's a lot more to this interview. But like, I stated earlier I'm sharing the answers to the questions from my thesis on this show as with every interview, I try to leave with three key takeaways. The three that stood out to me from Dave our number one shot up. Listen, number two guest on any show that that'll have you number three make it fun and be yourself. What are your takeaways? What did Dave say that affected your business contemplation going forward? Share your thoughts on the Facebook thread for this episode. I would love to hear your insights. You can find Dave at David Jackson dot org or school of podcast dot com. Vines show on your favorite podcast app. Be at I tunes Google podcast, Stitcher, tune in or Android, be sure to subscribe and give him a. Great review believe it or not those reviews even help a hall of Famer Dave Jackson while you're at it play. Subscribe to new media lab with Robert Southgate wherever you listen to podcasts. You can Email the show at Southgate small business at g mail dot com. Do media lab is on Facebook search at new media land, our networks website is Southgate media group dot com where you can find this as well as over a hundred other podcasts, plus blogs, videos information about our live events, and so much if you wanna follow me personally, I'm on Twitter at our Southgate or on Instagram at rob Southie. Support this show and get awesome extra content by becoming a patron go to patriot dot com slash new media lab and choose your ear, please rate and review this show on whatever service. You subscribe to podcasts on it really helps others find the shop and tells me if you like what I'm doing here, you can find new media lab on items goo. 00:26:27 Podcasts Stitcher Spotify tune in radio and hopefully anywhere else that distributes podcasts. If you can't find us, let me know. And I'll rectify the situation all this. Plus more lanes will be in the show notes and on our website. So don't worry if you didn't have a pen to write it all down and thanks again today. Jackson for helping me with my thesis. Prevent such a fantastic guest. That's it for this week everyone. The next episode will drop next Tuesday until then get out there and create something. Jesse Jackson from Set Lusting Bruce, had Rob Southgate on as a guest. This is what was discussed when the topic of what's coming up for Southgate Media Group this fall was brought up.